A small selection of lucky competition winners were invited to an exclusive preview of the brand new adidas StellaSport collection last night held at TOPSHOPs flagship store on Oxford Street, London. 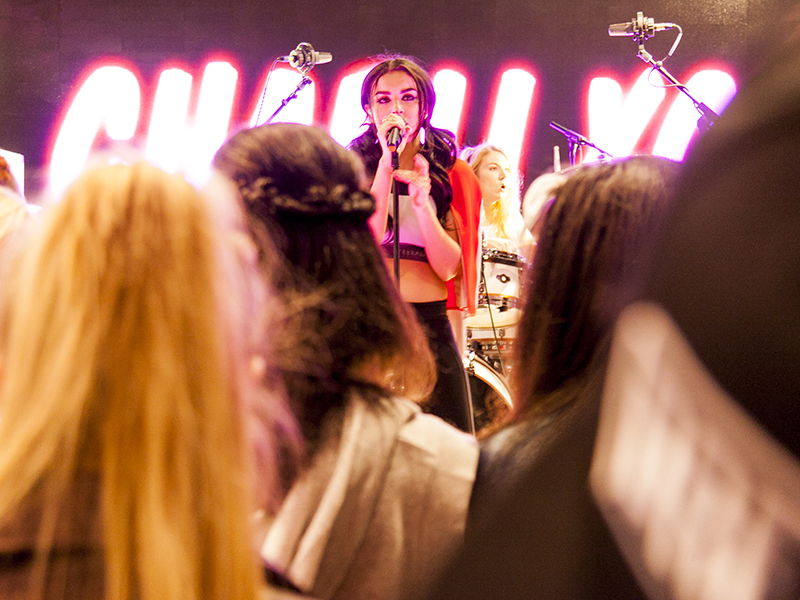 International pop star Charli XCX performed a high energy set to the lucky attendees while DJ Iris Gold was on hand to entertain the crowd on the decks. adidas StellaSport is a brand new adidas sports range aimed at a younger audience, under the creative direction of Stella McCartney. Launching in January 2015 the range combines sport and style with bold branding, explosive colours and fresh prints; redefining sportswear with a brand new approach for the age group.